Hi friends! As I mentioned in my previous post, I’m doing some window shopping for the Nordstrom Anniversary sale 2018. I shared my top picks for Beauty, Accessories, and Home in my previous post. 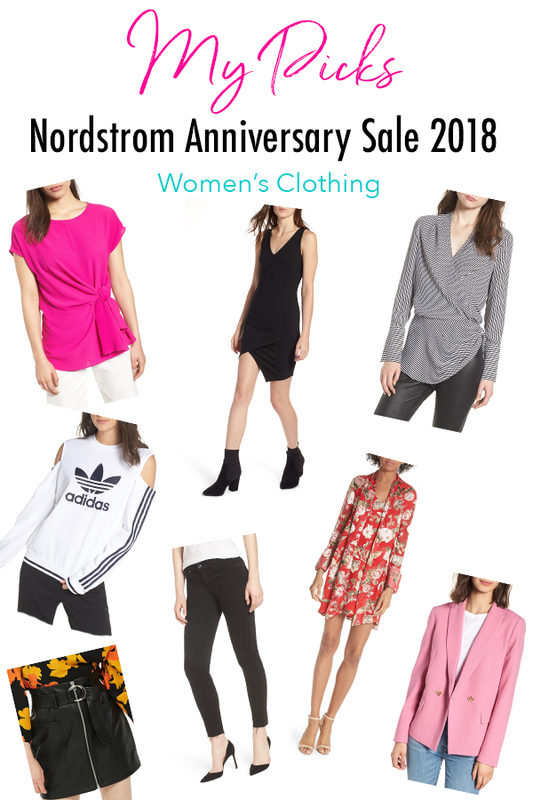 In this post, I’m sharing my Nordstrom Anniversary Sale Picks 2018 for Women’s Clothing. This will actually be helpful for me because I’m currently re-building my work wardrobe, so I actually need (yes, need!) to do some serious shopping. I’ve been pretty unhappy with my work wardrobe in recent years, but I’ve focused my attention on other areas of my life. 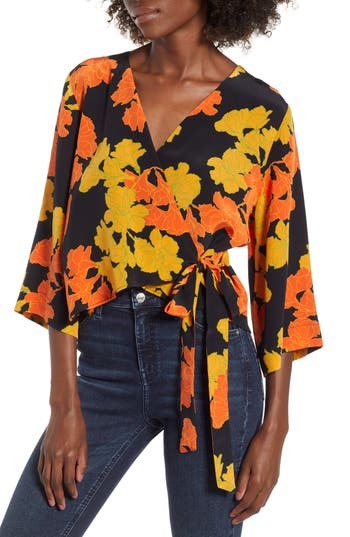 However, more and more, I’m finding the Nordstrom Anniversary Sale to be an amazing opportunity to stock up on quality clothing. The things I buy from this sale are often my go-to articles of clothing (and accessories). And this is great for my Parisian Wardrobe (quality over quantity) style of shopping these days. Since I’m working on my work wardrobe, many of these clothes are more geared towards business casual items that can also be worn on the weekends. I love multi-purpose clothing. My focus is also primarily on easy-care, comfortable, classically-styled, and all around chic clothes. Of course since I’m so into fitness, I have some workout wear in the mix too. I prefer machine wash over dry clean and functional clothes that are also chic. It can’t just look good. It has to be relatively easy to take care of and comfortable too! Oh and I always read the reviews. Not just me, riiight? Note: This post contains affiliate links, which means I may make a small commission at no extra charge to you if you make a purchase from one of these links. Feel free to reach out if you have any questions. Love this as a chic work top that gives your booty a little coverage. The black and white stripe colorway is amazing! Bonus: machine wash and dry. Here’s another option with some booty coverage. 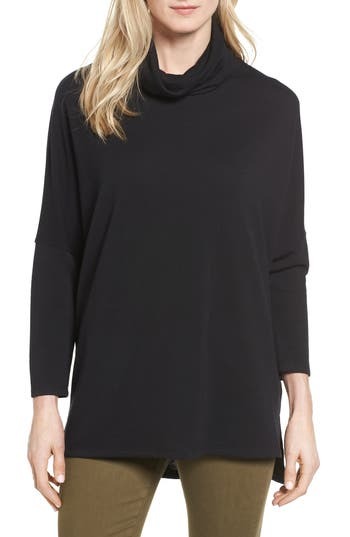 The high neck on this tunic by Caslon will also help you stay warm if your office tends to run cold (like mine always seem to do). It’s machine wash but flat dry. And for even more booty coverage, here’s a great layering top. This is also machine wash and flat dry. And here’s a short sleeve option similar to the previous. Also machine wash and flat dry. 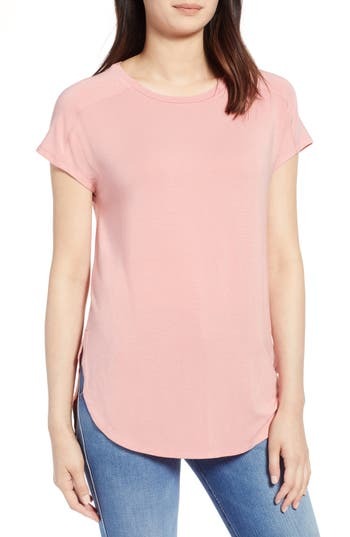 This Gibson top is also available in hot pink! 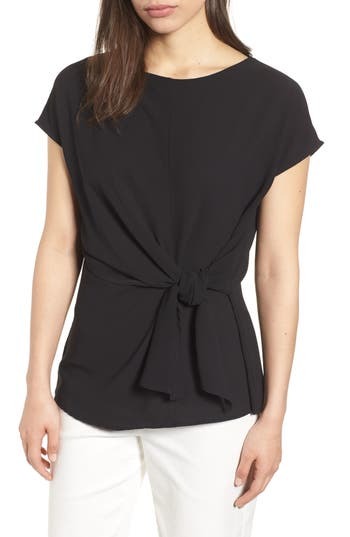 I’m thinking this simple top will go nicely with almost any pair of dress pants. The tie-front makes this top more fun. And there’s a similar twist-front top if you want another option. Both are hand wash.
Here’s a great option for date night. There’s a chance you could wear it to work. I haven’t seen this in person, but it also probably depends on your personal fit. The bottom hem looks a bit cropped, and the upper section seems a bit low cut. But you may be able to layer a camisole underneath to make this work appropriate. Guess it also depends on your work dress code. Ha! A nice homage to my time in NYC. This J. 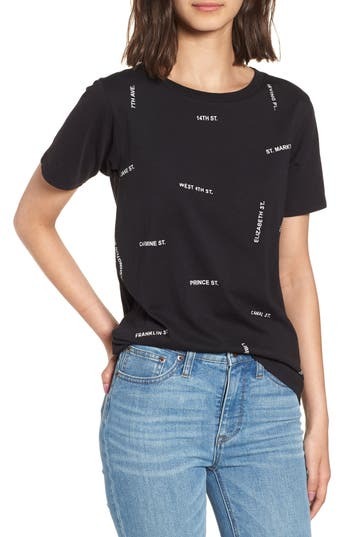 Crew top features street names from New York City. While this would be super cute with jeans, I also would love to see how this looks with the faux leather skirt below. 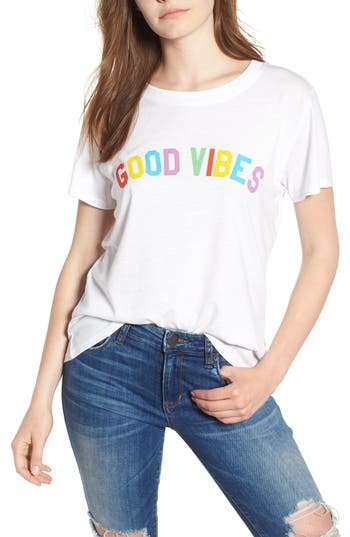 Let’s spread the good vibes with this uplifting top. I love the happy rainbow colors. I hardly ever buy clothes full price, but I did get a cashmere Vince last year. It turned out to be my favorite sweater, and I wore it so frequently, it quickly became a worthy investment. 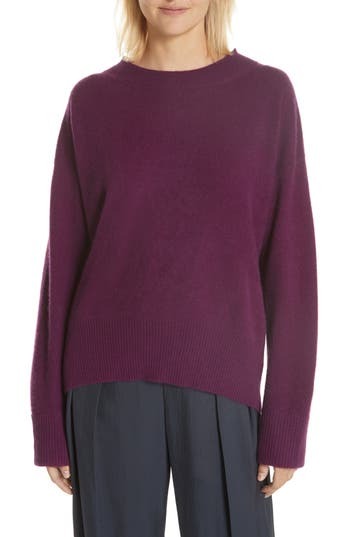 I’ve been looking for more Vince cashmere sweaters, and this oversized purple number is gorge. Wear it with skinny bottoms to balance the top. It would be super cute tucked in with a statement belt too. 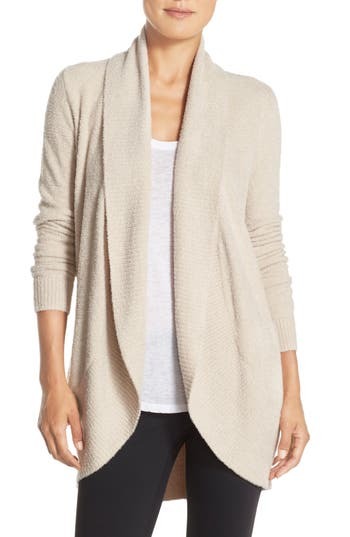 Love this Organic Cotton Cardigan by Eileen Fisher for that chic polar-bear-at-the-office look. Hopefully it keeps me warm like a polar bear stays warm in arctic temps. Is it just me or offices generally way too cold? This seems like a great layering piece that could quickly become an office staple. 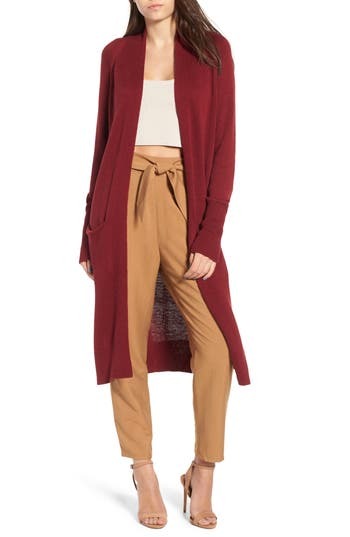 And this gorgeous red cardigan would also be super chic at the office while also helping you stay warm. I wanted to add these pants to my picks, but they’re already sold out! 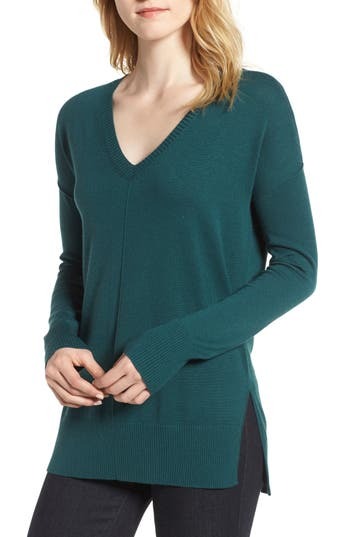 This simple green sweater by Trouvé has a touch of cashmere and a longer hemline for some booty coverage. Pair it with dress pants when you want a work outfit you don’t have to think about. Here’s a casual sweater pick. 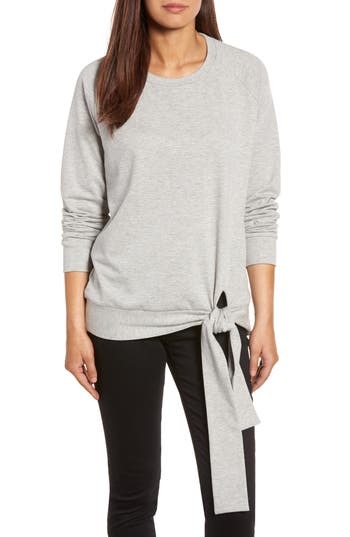 You know when you want to lounge in sweatshirts all day, but you don’t want to look like a total bum? Well this may be your ticket. The tie adds a touch of dressiness to this cozy top. Girlboss, anyone? 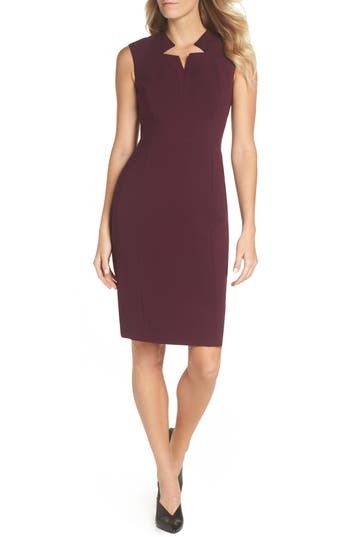 This Tahari Star Neckline Crepe Sheath Dress would definitely make a statement at the office. 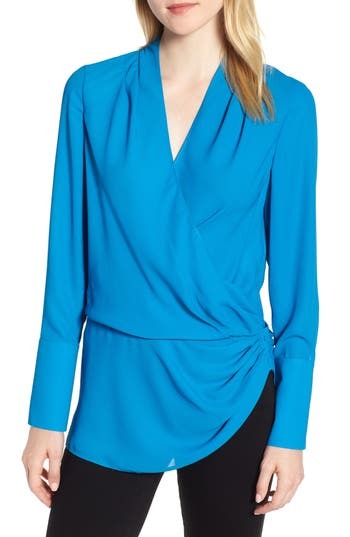 So this Vince Camuto dolman dress could be perfect for work if the fit is right. But it would look so chic with cute pumps. And just think of all the accessory possibilities! You could give this dress many looks by changing the shoes and jewelry. And it’s also available in red! It’s a sweater. It’s a dress. 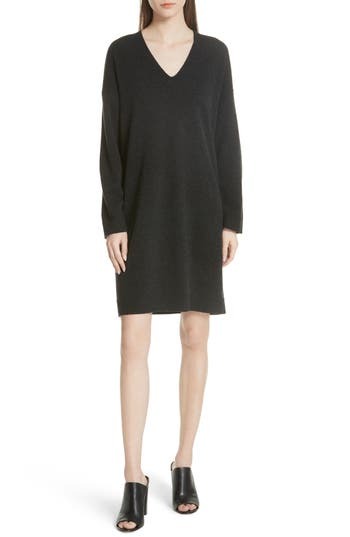 it’s a Vince cocoon sweater dress. This will come in handy when cold weather hits. Pair with funky boots to take it to the next level. Here’s a pretty date night look. 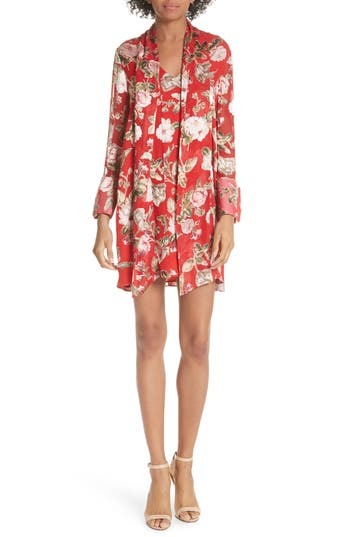 This tunic dress is one of the more expensive picks of this post, but it is Alice + Olivia. I love how sophisticated and summery this looks. This one is one of the few dry clean options I included because it is so d*mn beautiful. I couldn’t resist. Here’s another dry clean dress that I just love. The minimalist look with the little details around the neck. Ugh. So chic. 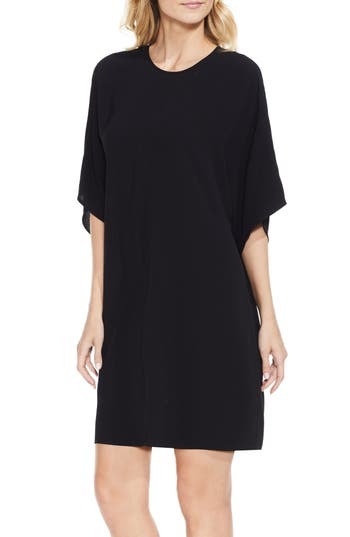 I might actually be willing to do dry cleaning to wear this Astr the Label crepe dress. Here’s a fun casual, sport-chic look. Who doesn’t love a dress you can wear with sneakers. 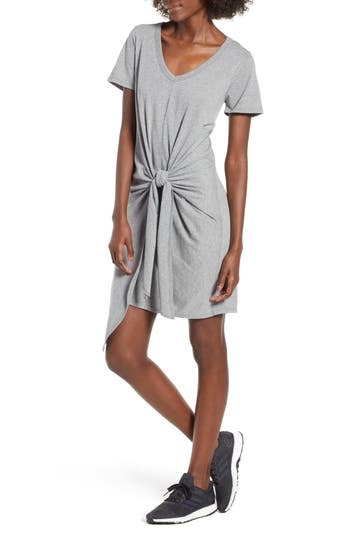 This t-shirt dress by Socialite is a great option for when you want to walk around all day but still look well-dressed. Pair with cool sneakers. This is machine wash but line dry. As you know, I have a thing for asymmetrical clothing. I love how this Asymmetrical Body-Con Dress could be great with booties or even sneakers. And it looks like you can layer it with any number of sweaters or coats. 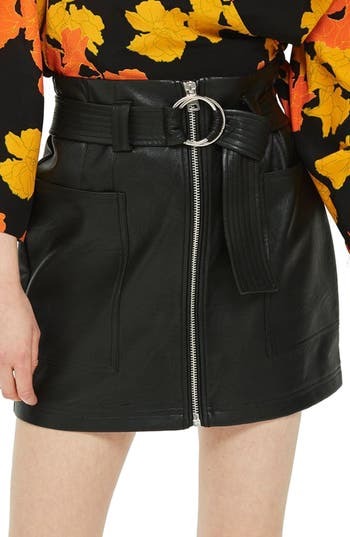 Love this faux leather skirt by Topshop for a model off-duty look. I’m picturing this skirt paired with cool girl sneakers and a graphic tee. Surprisingly, this skirt is machine wash (though dry flat). 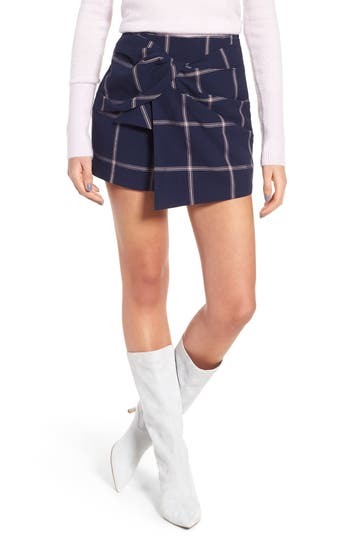 How cute is this plaid skort? Perfect for when you want the mini skirt without the stress of accidentally flashing someone. 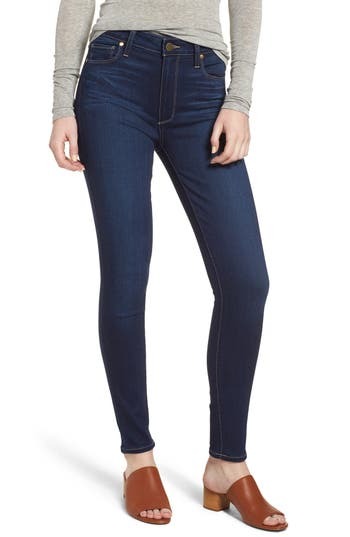 These jeans by 7 for All Mankind are my top denim pick this sale. I purchased a pair of 7s at last year’s sale, and they quickly became my ride-or-die bottoms. I wore them everywhere! And I still do. Here’s my pick for blue denim from the sale. I love Paige denim for its quality and comfort. This bralette could be super-fun for layering with a slightly lower-cut top so the top straps just show. Of course, this is more for weekend wear. According to the reviews (currently 5 stars out of 4), this bralette is super comfy too. Sometimes you want to sleep in your old, beat-up, but also super-comfy tee. And sometimes you want to have something more cute. How adorable is this blue dolman sleep nightshirt by Nordstrom Lingerie? Bonus: machine wash and tumble dry. On Wednesdays we wear pink. 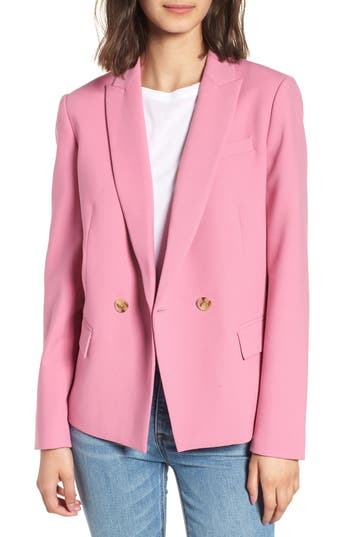 Like this pink blazer by J. Crew. Bring a girly touch to the office with this longer-length blazer. It’s also available in black, gray, and navy if you want to go for a more traditional look. 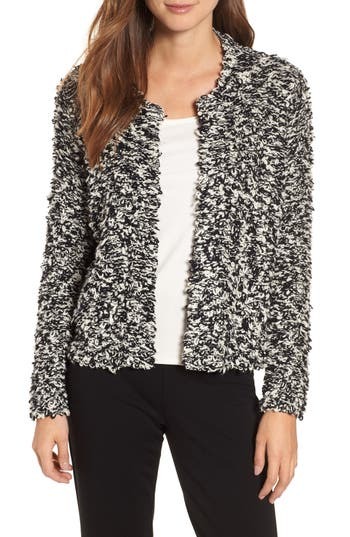 Love this feminine coat with a ruffle edge. This gives a flirty flair without being a huge ruffle. Make a statement with this J. 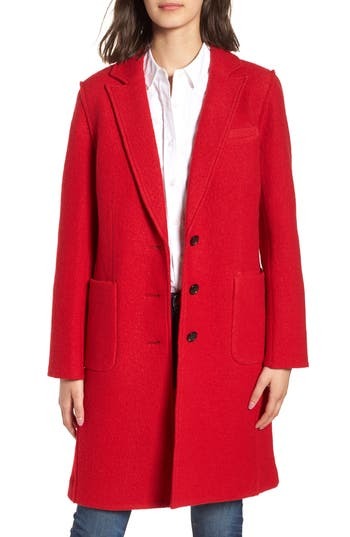 Crew coat in red. It’s also available in a pretty light yellow color for a different kind of statement. 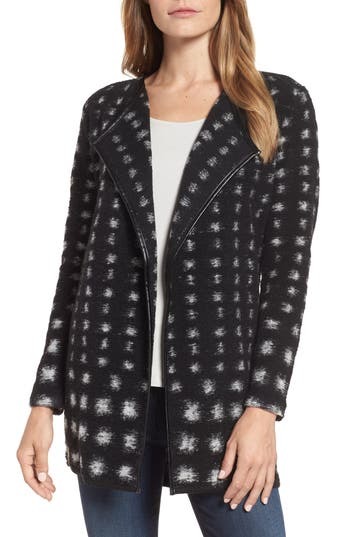 I guess I’m feeling statement coats this year, because here’s another great statement coat option. This one looks like it will be super easy to mix and match with many tops and bottoms. Love (what looks like) the leather trim. 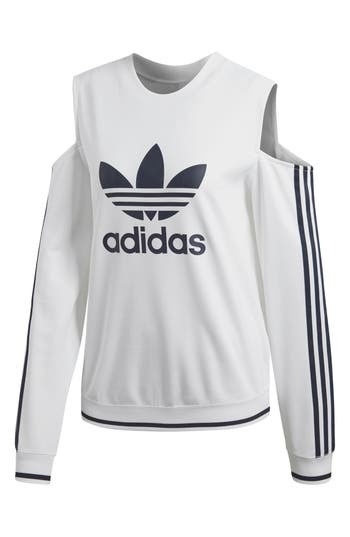 So in love with this Adidas cold-shoulder sweatshirt. It’s machine wash but line-dry, which is kind of annoying. But I love the sporty-chic look of this. Only wish it was available in a primarily black colorway since the white can be hard to keep clean. Though there is something to the crisp white look of this. And it’s perfect for throwing on before and after class for a fab studio-to-street look. 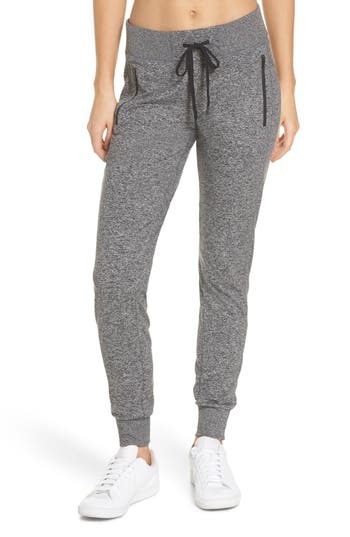 Though I have something similar in a different brand, these jogger pants by Zella have a similar look. These have been my ride or die travel pants. Comfortable and with pockets. They’re great for trying by air for when you want to not wear sweatpants, but you still want to be comfortable. 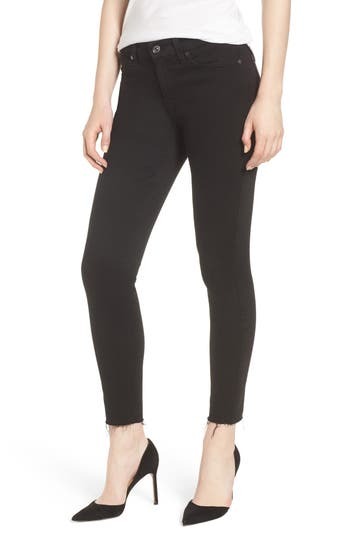 After rocking only Lululemon and Athleta leggings for years, I’ve recently branched off to try Alo leggings. And I love them. They’re very well made and are holding up so nicely after multiple washes. They’ve started to takeover as my go-to legging. And this mesh insert option is a great buy since these bad boys can be hard to score on sale. At least not on the newest styles. 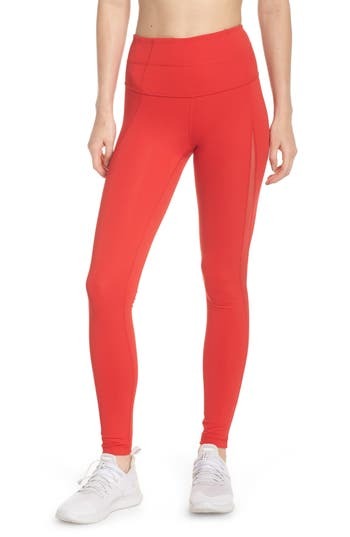 I haven’t tried Zella leggings, but this pair is making me want to. You’d definitely make a statement at the gym with this colorful pair. I recently ran out of socks before I had the chance to do laundry, so I had to go on a bit of a sock shopping spree. Lol! 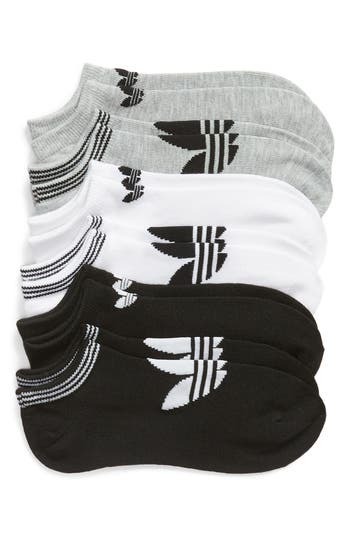 Even though I’m well stocked, I’m considering getting this 6 pack of no-show Adidas socks. They look low enough to not call too much attention while being high enough to not slip down when I’m walking. 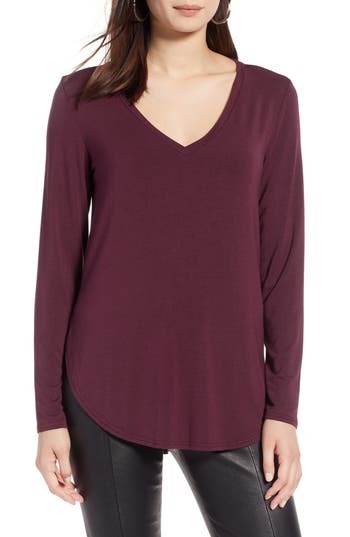 What are your picks for Clothing from the 2018 Nordstrom Anniversary sale?